If there had to be one topic that was so hard to comprehend after using R, it has to be functions. Everything from writing a function, to learning how to debug a function has just never had some clear instructions on how to do so. In addition, there are tools that have come out that are meant to help with this task, but can seem rather hard to understand how to utilize when solving your problem. This blog intends to get you up and running with what functions are in R, how to utilize them for tasks, and easily debug them inside RStudio to troubleshoot what is exactly going on. Recently I had the opportunity of going to a Cider Festival, to learn and try new ciders.I’m not the biggest fan of cider’s, so naturally I opted to try almost every beer that was available, and wanted to compare what I tasted. If anyone were to ask about my taste buds, it would be that I love shandy’s, and wheat beer. None of the beer’s I tried were even remotely close to my liking, yet somehow tasted much better than I anticipated. It sure would be helpful to have a way to compare the beer’s I’ve tried to see just why I enjoyed an American Pale ale, and even a cask. Using rvest, we can easily scrape the necessary data about each beer from RateBeer to help compare them against each other to determine what similarities they may share. Before we get started, a few ground rules need to be established so that you get yourself on the right track for the task at hand. Interacting with the web via programming can very easily feel like uncharted terriority at first, almost like drinking your first beer: Where am I, and how did I end up here?But, fear not, as this blog will provide you the resources to not get lost navigating this abyss. Why do we need these you might ask? Equipping yourself with the right tools can sometimes be half the battle with r: it’s hard to figure out how to understand the problem at hand if you don’t have the necessary tools to solve the problem. In addition to these tools, I would strongly encourage you to think about using a sandbox environment, using Docker or RStudio Cloud, as R has had some pain points with encodings on different operating systems. If you would like more information on how to create your own custom sandbox environment for R, you can check out this blog for more information, or check out RStudio Cloud. Ok, so what exactly is an API, then? Should I be using it? API’s are setup so you can easily interact with services. Let’s say I want to pull data on Fires in Minneapolis. Looking at RateBeer’s robots.txt file, we can see that they allow scraping, as they disallow nothing, so we are OK to proceed. Now, at first, this seems like an almost impossible task, but fear not. We can still use an xpath to select what we are interested in extracting for further use. Two tools are very useful for finding the correct xpath for the element that you wish to pull: Selectorgadget and the chrome developer tools. Selectorgadget is a point-and-click CSS selector, specifically for Chrome. Simply install the chrome extension, and then click on the elements you are interested it. This will select all elements that are related to that object.Next, select anything in yellow you do not want. There you go! If you have issues getting the correct xpath from SelectorGadget, you can also try using the Chrome developer tools, which are very user friendly. 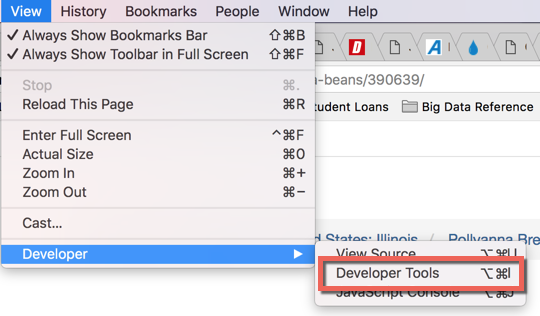 Simply click on View-Developer Tools, which will load up the developer tools. Next, click on the little mouse button to interact with the webpage. This will enable your cursor to show you what code is driving each element on the page. In the below screenshot, we can see that what we select with our mouse, and the respective code which is driving that particular element. Click on the blue area above, as indicated above. In this case, we are interested in the stats container, as it contains the metrics that we want to compare. This will lock you on that element so your cursor does not try to select HTML or CSS for other elements. Now right click on the area in the html code highlighted(red box), and then select copy->Copy XPath. This will allow you to get down to the most specific path for where that particular element lives on the page. Perfect! Now that we have the xpath for the element we can begin to start writing our function to extract data from the xpath. Hold up, I thought we were supposed to make sure every action is precisely logged so them computer understands it? Don’t we need some sort of for-loop, that acts as a counter to increase after each URL? Why didn’t we use the dplyr::pull command to literally pull the vector out of the dataframe to iterate on first? Before we move on, lets break down what is exactly happening. First, we pipe in the dataframe, and say we want to add a new column with mutate. Next, we create a new column defined as a character column using map_chr (or vector), and then apply our custom function. Expanding on our example, lets say that we have URL’s that may cause some hiccups. How would we make an function which could hand these errors with ease? Possibly is very similar to a try-catch, which allows us to wrap our created function with a different function for error handling. This can be a bit confusing at first glance, but makes sense once you have it setup properly. Before we move further, it may be worth noting that the following is what I will call “the Abyss”, or Mordor. Beware that this is not for the faint of heart, so if you feel that you are ready, then proceed. Otherwise, go make a sandwich, and take a nap. 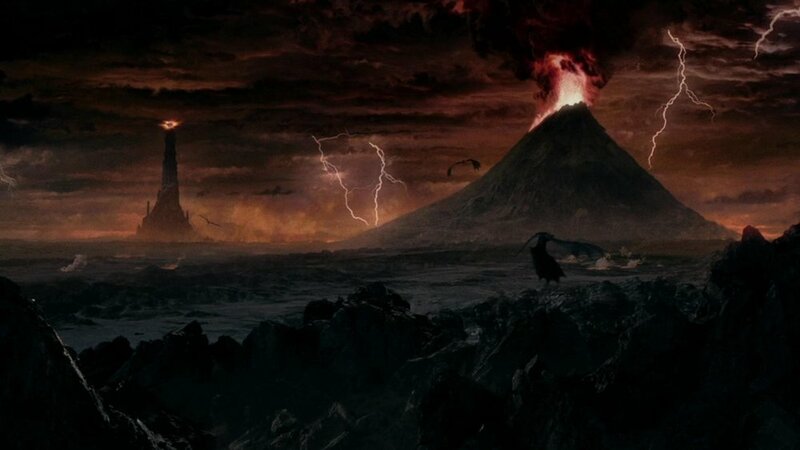 For me, encoding in R has really reminded me of Mordor from Lord of the Rings. It just seems like some never ending pit that is almost near-death. Not to worry though, you are in good hands. Let’s go. Part of the issue with this workflow is that it assumes once we pull out the data from the webpage, it should be ‘ready to go, right off the boat’, which unfortunately, is not the case with data from the web. You see, data from the web has to be encoded, and finding or even detecting encoding issues can be a real hassle, as you may not find out until much further downstream in your analysis process, like I did. Before we move on, I would strongly encourage you to make sure you can view whitespace in RStudio via Tools-Global Options-Code, and show whitespace characters. 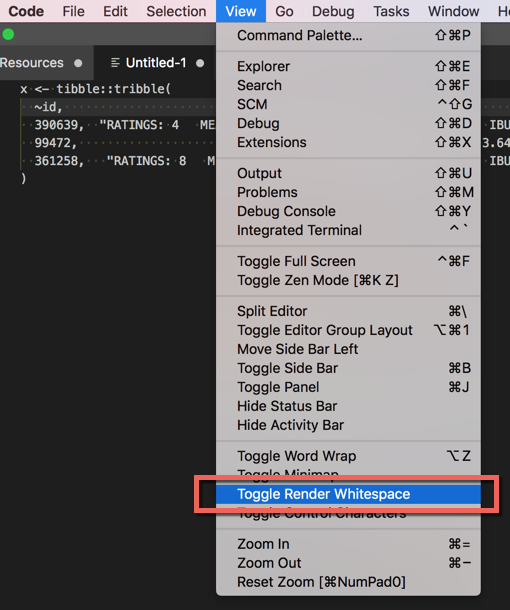 Also, go into Visual Studio Code, and do the same by going to View- Toggle Render Whitespace as well. How would we detect if there is an issue with it? We can see from above that the data is encoded as UTF-8, so we should be fine then……right? Wasn’t that what the webpage told us it was encoded in? Yes, but looking deeper into the data, there appears to be some characters that diden’t get converted over correctly. So how exactly do we ‘correct’ a bad UTF-8 file? Odd red spaces in our data? The textclean package is a derivative of the qdap package, which is designed to work with text data, but requires rJava to work properly. textclean is a port from the qdap ecosystem, and much lighter, thus allowing us to use it to detect issues with our text. As we can see above, there are plenty of errors, but this allows us to verify that non-ascii characters exist within our text, and hence causes us headaches if we don’t take care of them now. "RATINGS: 89<c2><a0><c2><a0> WEIGHTED AVG: 3.64/5<c2><a0><c2><a0> EST. CALORIES: 188<c2><a0><c2><a0> ABV: 6.25%"
The tools package and iconv in R both allow us to see that sure enough, there appears to be some odd characters indicated by the <>. textclean will eliminate the values it detects, while rvest will try to preserve the value. While rvest can (and does offer this capability), it doesn’t do the best job of cleaning the text data reliably. Instead, stringi offers us the function str_trans_general, which will allow us to keep our three spaces between each characters intact. This will allow us to use those spaces later on as delimiters to clean the data even further. iconv is a GNU command-line utility that helps with force converting data into it’s correct form, while still trying to retain as much data as possible. Now, at first glance the data may seem a bit messy, but let’s focus on trying to convert the data into UTF-8. First, lets use gunzip from r to unzip the file to a directory. The ~ in this command simply means relative to your Home directory on your machine. Simply type cd inside a terminal, and you will be take to your home directory. With approach one, we try to take the file in what we think the file should be, and specify that we want it to be UTF-8, and try to overwrite it. Approach two is a much more brute-force approach, as we simply tell iconv that we want to convert to UTF-8, and create a new file. Woila! We can now read the file in as raw lines if needed, and no hiccups, all thanks to iconv. One thing to note is that while R does have an iconv function, I have found the command line utility to be much more versatile for my needs, and you can simply put a bash chunk in RMarkdown notebook. Use the command line. Now that we have obtained our data, and cleaned the encoding, let’s see if we can try to get the basic statistics into their respective columns. At first glance, this seems simple, as we just need to split the statistics column on a delimiter, and life should be good. But of course one of the beers I have does not have the same amount of elements as the other’s thus wreaking havoc at first sight (as if encoding was already challenging enough). Part of the key to understanding the task at hand is twofold- we want to split the data into each column but using the : to keep the key-value pair relationship. Understand that when I first ran this script, the very first line failed right out the gate — — due to encoding issues, but I never got an error message until actually trying to use the spread function. At first, this can seem a bit convoluted, especially if you are unfamiliar with the list-column.When I first looked at this code, it seemed like the str_split just had a really odd behavior, and was almost an unnecessary burden on the code. Unnesting the list-column almost creates a cartesian-like join which takes each record, and then makes it so that each row has every possible combination of every value, thus making it possible to spread, and spread dynamically. From this, it’s interesting to note that the beer with the most amount of ratings does not have an average review, but the Pollyanna seems to have the highest score. As you finish up reading this article, I would encourage you to try and take some beers (or beverages of your choice), and try to collect data on them. What do you notice? Is there a correlation between ABV(how strong the drink can be) and the beer’s average review score? I hope this tutorial has been able to help you gain insights into how to use R to your advantage when trying to solve problems, and that you have learned more about encoding in R, and tools to help when faced with these challenges. I’ve outlined some of my thoughts below as I’ve been reflecting on how this data has challenged me in so many ways, and not just with R, but in my personal workflow in general. Did reading the html fail? Was it just tidyr that had issues with UTF-8, or this a deeper issue? If base r has so many encoding issues, is this a “firm foundation” for any project, work related or not? because so much of base-r’s encoding issue were just such a hassle to mess with. These issues while small, I think almost sent a message regarding R’s core: it is simply not a stable foundation. Working with functions and not trusting the output can be extremely hindering from a development point of view. The tidyverse definitely has a lot to offer for newcomers with new packages being developed, but I think this raises up a good question: should you be using R in production pipelines, or even for analysis purposes? Everything seems to be so smooth when you don’t hit any of these issues, but once you do, it’s a true pain to debug, especially for a novice to the language. purrr at first sight seems like an ideal package, but can be hard to work with if you don’t have the right use case. In our example, we had URL’s that we want to apply a function over. Purrr really shines when you need to iterate over elements with custom functions, but can be hard to come to grips if all you have done is using a mutate_if in your workflow. On the contrary, it can also be just as hard trying to figure out what these newer functions in dplyr can do for you, if you have never seen them in action. R has good merits with being a functional programming language: it allows you to operate on data with ease, and there is plenty of functions at your disposal to do so. If anything, one of the biggest challenges I faced as I wrote this article is just where exactly to start when looking for a solution: R Manual, stack overflow, a particular package, or even the RStudio Community. In the right hands, and with the right skillset, R can be a powerful tool when put to good use, but is not for the faint of heart. What do you think? Do you think R is powerful enough for your everyday tasks, or do you think base-r feels unstable at times?